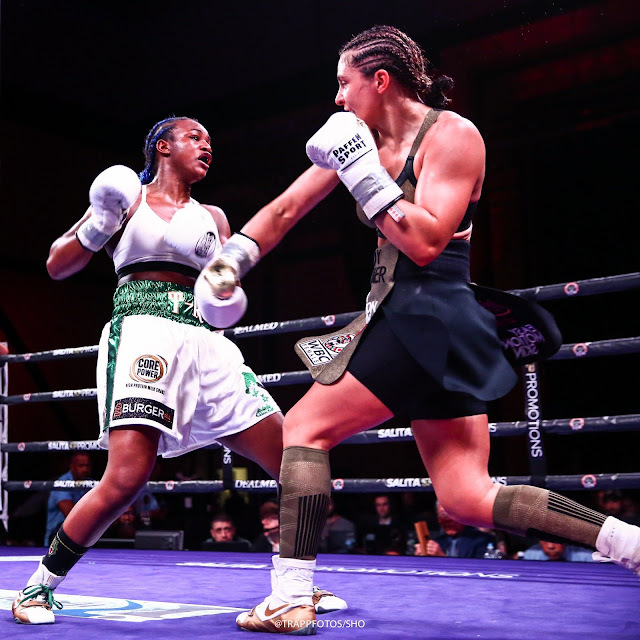 IBF, WBA and WBC Women's middleweight champion Claressa Shields defended her titles successfully by defeating long-reigning WBO middleweight champ Christina Hammer, thereby unifying the division at the Boardwalk Hall’s Adrian Phillips Theater. Sheilds made use of her speed and power to force the formerly unbeatun champion to a near knockout in the eight round but failed to finish her off, ending up with a Unanimous Decision. She dominated Hammer so well, all three judges Lynne Carter, Guido Cavalleri and Robin Taylor scored the fight eight out of ten rounds in her favor. 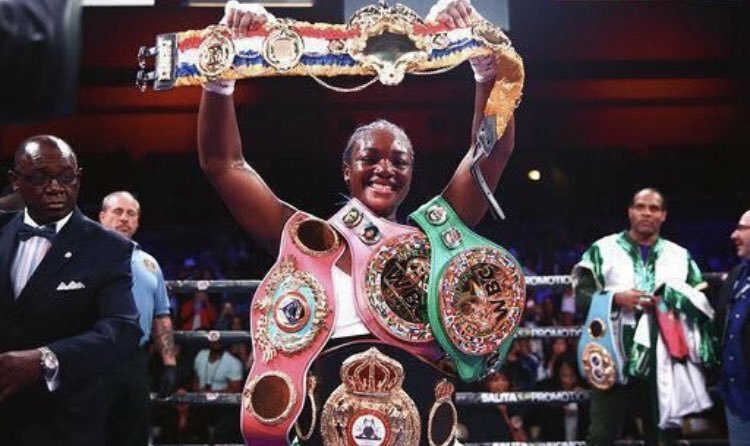 Claressa Shields now joins Welterweight World Champion Cecilia Braekhus, as the only women to unify all four world titles (IBF WBA, WBC and WBO) in a particular division. Shields improves to Shields (9-0, 2 KOs) while Christina Hammer lost for the first time in her pro career and drops to (24-1, 11 KOs, 1 NC). 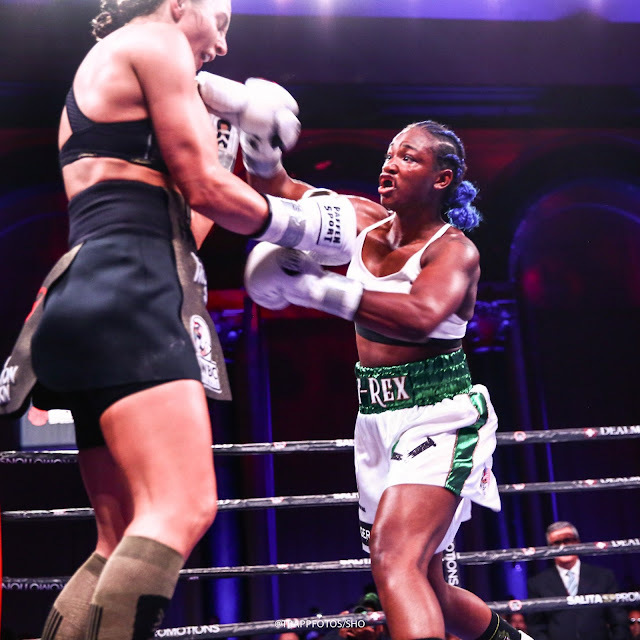 The fight started out with the two fighters showing respect for one another but Shields was able to use her speed and power to outclass and overcome the more experienced Hammer, who worked behind her Jab. 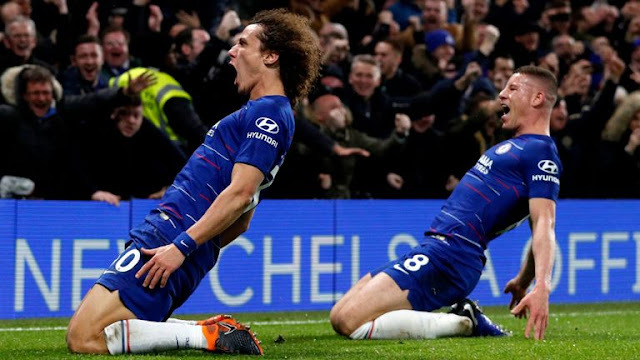 By the eight round, it was all a one Sided affair. Shields drilled Hammer with power punches early in the eight round and continued a vicious assault right up until the bell sounded to end that round. Hammer only did her best not to get caught with a knockout punch during the round. Shields almost thought she had won by Knockout, when referee Sparkle Lee stepped in for the end if Round stoppage.